Packing for a safari is a big job! There are numerous factors to consider when it comes to your safari suitcase and what you put inside of it. 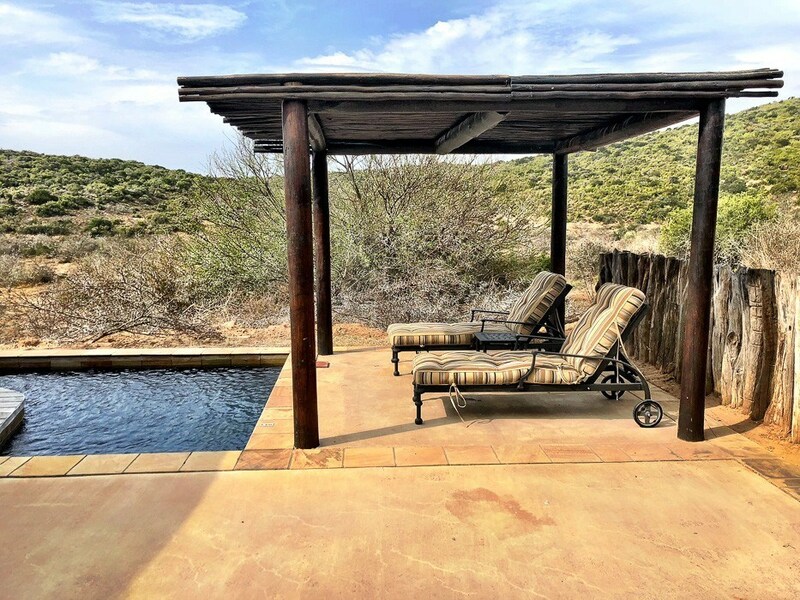 I recently had an amazing stay at the so lovely Kwandwe Private Game Reserve in South Africa. 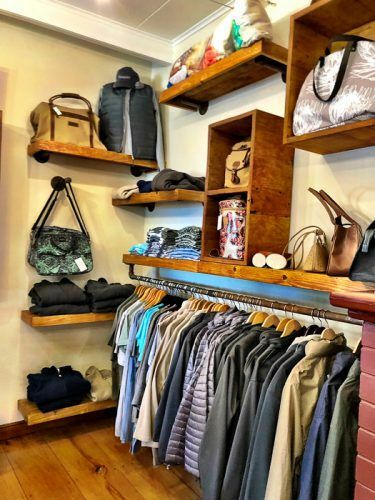 I met with the Kwandwe manager JP and asked for his advice on what is needed for safari – particularly what do you need to buy that’s new and what can you repurpose that you might already own. 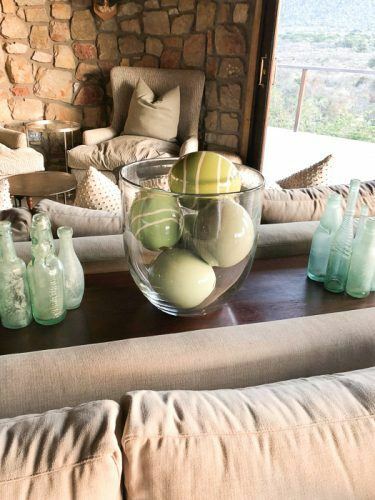 Not only does JP have years of experience managing Safari reserves Kwandwe have just opened a gorgeous online shop. The shop is perfect for buying items to fill your safari suitcase as well as lovely items and gifts if you like all things African. 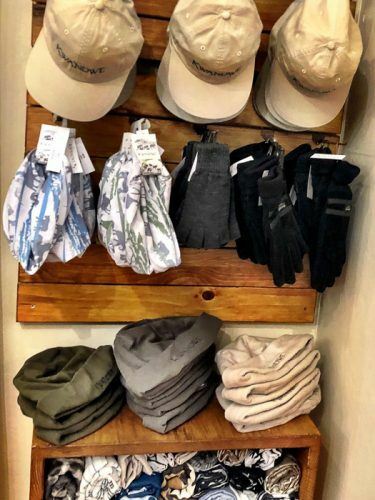 And if you are staying at Kwandwe you can pre-order all your safari kit and pick it up when you arrive – perfect! 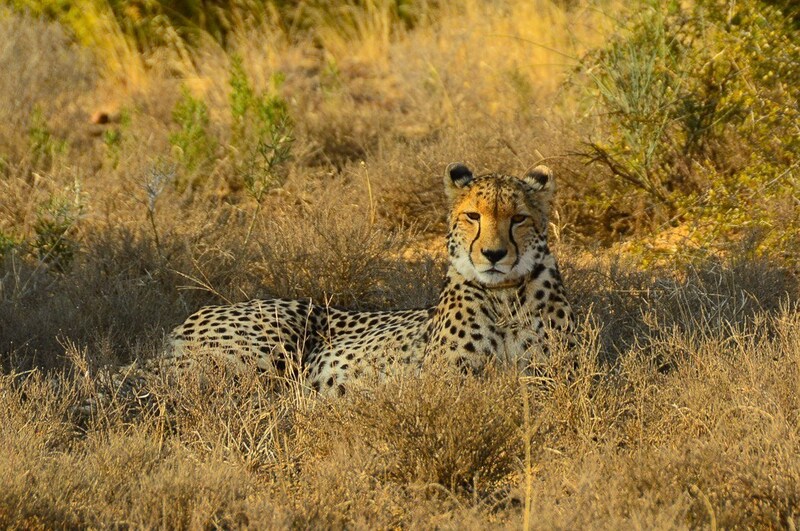 My recent visit to Kwandwe was my 6th time on safari – I love it! However, I did not love the packing. I found it very daunting – particularly my first safari. I also made a lot of mistakes – like bringing high heeled shoes! 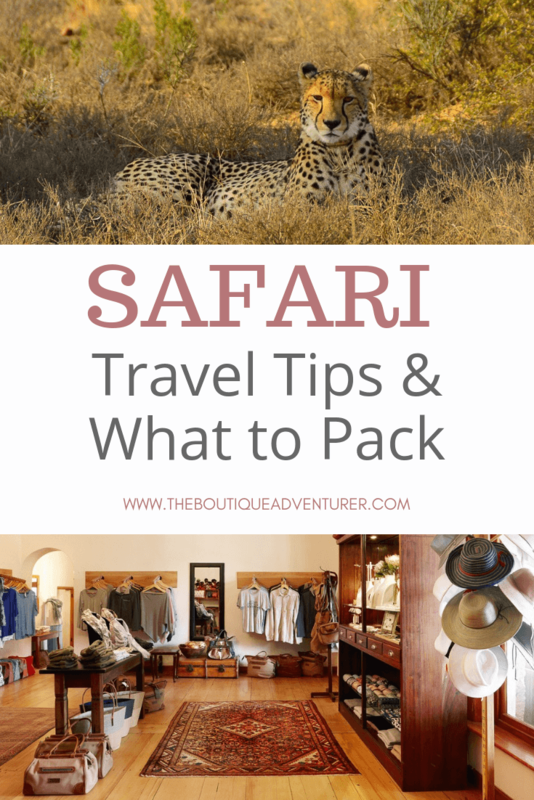 So I have combined my experience with JP’s expertise to help you plan the perfect safari suitcase! Is this your first time on safari? If so I strongly urge you to re-purpose as much of what you already own as possible. If you have already been once and loved it like me then it could be a good time to invest in some comfortable safari gear. Everything in my safari suitcase recommendations should stand a considerable test of time unless I note otherwise. Do you enjoy doing things that utilize a similar type of clothing to safari? Eg trekking? Hiking? Walking? If so, again, it could make sense to invest in some more focused gear like that on my list. 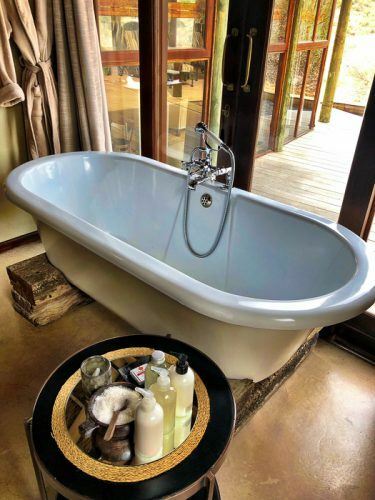 Finally, if this is your first safari you may not be aware that most safari camps offer daily clothes washing service. At the end of the day pop your dirty clothing (everything!) into the basket or bag and it will be back by the end of the next afternoon’s game drive. So if you are going on safari for 6 days you really only need 3 days worth of clothing max. Planning your safari outfits is a mixture of logistics and weather. In terms of logistics, the structure of most safari days is quite similar. A morning game drive, which begins between 430 and 630am depending on the time of year and normally runs for about 4-5 hours, a rest in the middle of the day and then an afternoon drive that kicks off between 3pm and 430pm depending on the weather and then lasts till the sun goes down. 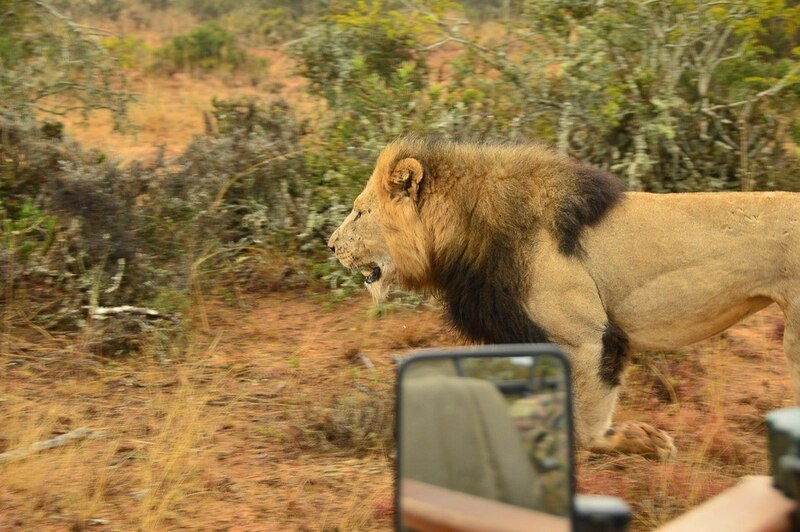 this is how close you get to the big 5 at Kwandwe! The afternoon drive includes the traditional sundowner drink. Eg whatever you wear on the afternoon drive will be what you wear for a sundowner. Once back at camp there is time to relax/refresh and then dinner. 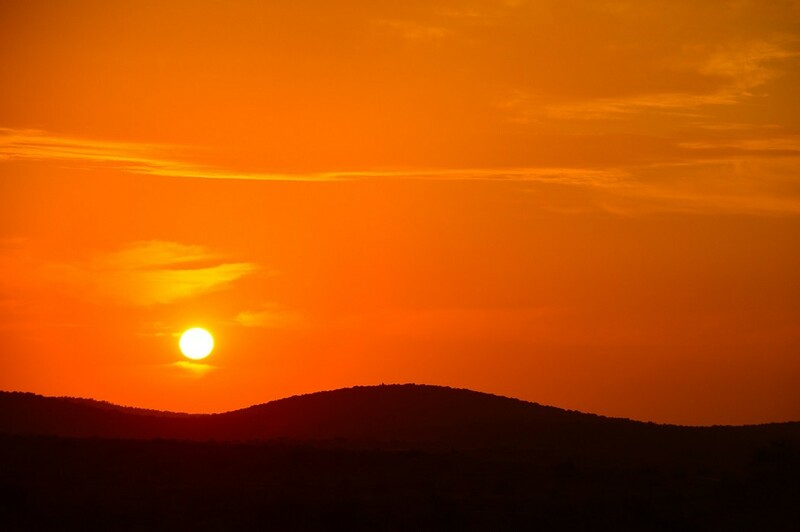 When considering weather, most of the key places for Safari in Africa eg South Africa, Kenya, Tanzania, Botswana are in the southern hemisphere. So Winter is between June and August. There are different reasons to go on safari at different times of the year eg long green grass can mean better photos but harder to see the animals, the middle of summer is hot but good for watering hole shots etc etc. From a packing point of view, the key thing you need to know is no matter what time of year you go there will be big variations in weather during the day. So layers are critical – and layers that are easy to take off and put back on. 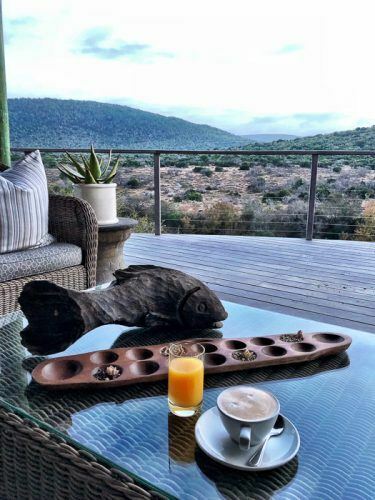 Even in the height of summer, it is usually quite cold when that early morning game drive kicks off. By mid-morning things can warm up and you may get down to shorts and a t-shirt by the end of the morning drive depending on the weather. The beginning of the afternoon drive is normally the warmest point of the day in terms of drives. However, once the sun begins to drop the temperature can drop drastically and you may well need to rug up again. Dinner tends to be very casual at the large majority of safari camps – even at the very top end. Most people where a version of what they had on that day. I like to bring a light dress and layers just to feel less confined after a day in a vehicle but it is usually a cotton dress and flat shoes or runners. Also, don’t forget that most viewing vehicles are open topped for best visibility of the animals. This means you need to think about covering up from the sun as well. 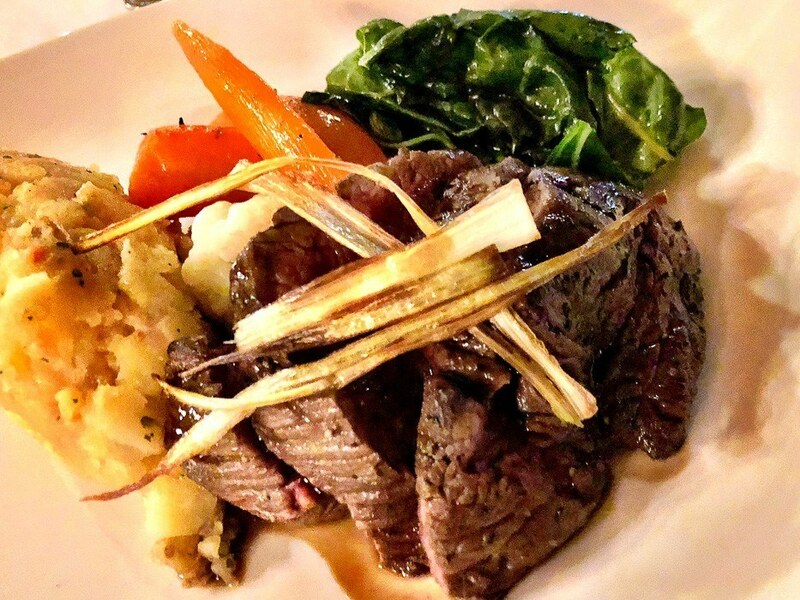 and the food isn’t bad at Kwandwe either….. yum!!! These terms cover several items: your main piece of luggage or variation on a suitcase, some type of bag or pack to take with you on the vehicle for the drives, camera bag and bum bag for ease of movement when it is time to take those all important photos! In terms of your main piece of luggage if you are going somewhere like South Africa and being picked up from a major airport then you can probably just stick with luggage that you already have. A large-ish duffel bag is probably the optimal format for safari. They are easy to pack with other pieces of luggage and there is no weight in the structure. However, you do want a decent one so that all the things inside are protected. 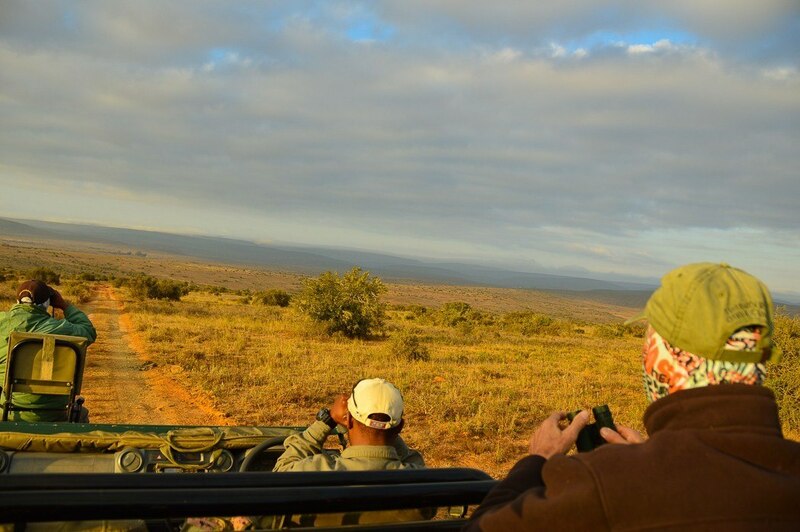 The next most important item is the safari travel bag you take with you on game drives. This bag tends to include the following: photographic equipment, water, sweets or snacks, layers of clothing, gloves/buffer/hats, phone, toiletries (hand sanitizer, sunscreen, mosquito spray, lip balm) etc. There isn’t loads of room on a vehicle so the safari travel bag shouldn’t be too big. It will spend most of its time on the floor of the vehicle so it should also be quite sturdy and able to get a bit dusty/dirty. This is a bag that can easily get flung around so it is really important to get one that ties/closes at the top or you could end up with your gear strewn across the vehicle. A backpack is pretty much the best option. They are sturdy, tend to have loads of pockets and flaps which can be super useful, they tend to be waterproof or come with covers, close at the top and are built for a bit of wear and tear. I love these ones by Hippo Warehouse – very safari appropriate! Another option which JP suggested is to use a Nylon Cooler Bag. These can flat pack, sit nicely in vehicles and keep everything dry. These are often used by rangers and are nice and low cost. Bumbags are quite in fashion again at the moment! They are also great for safari as your hands can be free for photos whilst you keep say your phone, some personal items, different photography items etc close by in your safari bumbag. Safari Camera Bags are critical for protecting any type of quality camera. It is ideal to take the bag with you as game drives can be bumpy and lenses are sensitive things and can easily be knocked or broken. Also, the safari camera bag gives you storage for camera cleaning equipment (you need to clean lenses etc regularly when on safari due to all the dust), extra SD cards, filter lenses etc. These are things you will want with you on the drive rather than leaving in your room. The light can change dramatically during one drive – and you can encounter bad weather that could get dirt on your lens. You will want that gone asap in case a leopard pops up! If you already have a good camera bag and you don’t mind it getting a bit dusty then there is no need to buy another one for safari. Wondering about what kind of camera to take on safari? 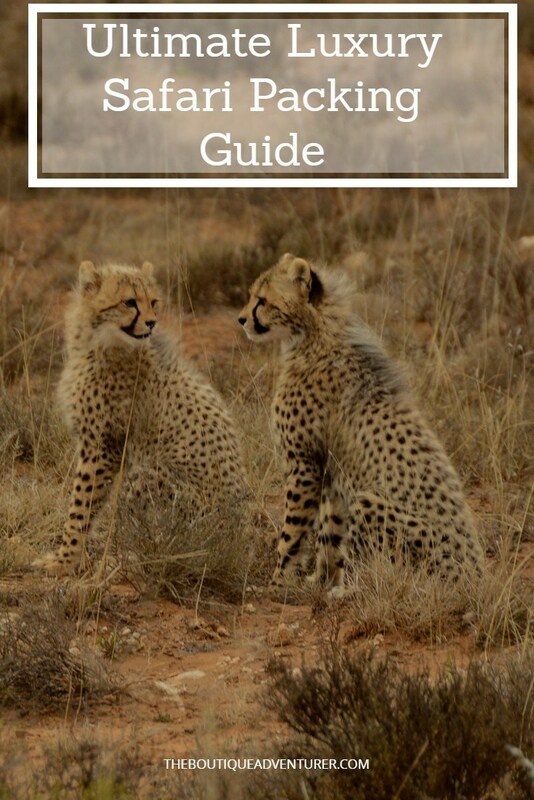 Check out my post on Best Camera for Safari – plus a guide on how you can get some great safari shots on your phone. If you have a biggish camera then a little beanbag can be incredibly useful. The bag can be placed on the side or tops of vehicles to provide a stable base for your camera. I love these! Ideally, bring a bag without beans and just add some sand when you get to your lodge and tie it up. This can really improve the quality of your pics – especially when you are on your maximum zoom. Comfortable walking shoes are the best option for safari. There is no need for a hiking boot or any type of specialized shoe unless you are looking at a walking safari. 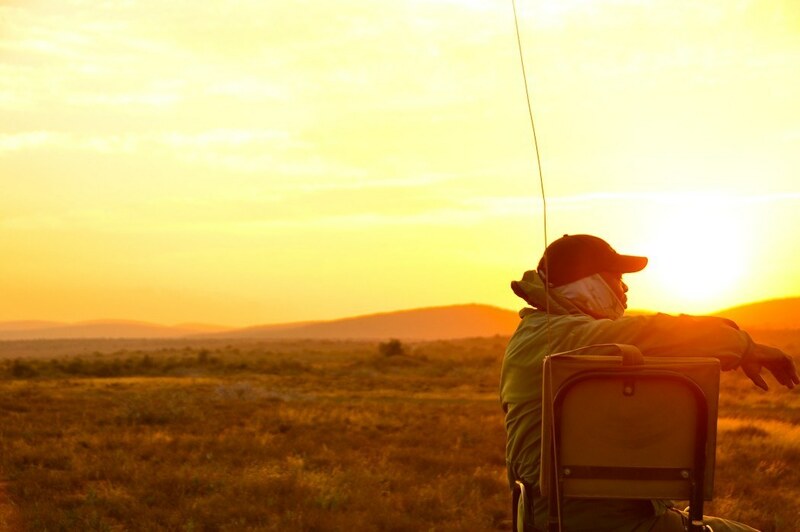 The majority of time on safari is spent in a vehicle rather than on the ground. Of course, if you already have hiking boots they will be fine on safari – but it may not be so comfortable for you to wear heavy boot all day. Trainers in a neutral colour are pretty much perfect. I am often moving about the vehicle to get the best photo and you will get on and off the vehicle quite a few times for coffee breaks, bathroom breaks etc. This makes trainers the perfect shoe. Open toed shoes are also ok if you are not going to be walking around. Personally, I tend to wear closed toe shoes like trainers or light boots for the morning drive and then open-toed shoes like Birkenstocks for the afternoon drive. Flip flops are probably too flimsy and the shoes will get dusty so you may damage sandals. There is no need for any type of special sock for safari – just bring what you already have. When it comes to clothes it is just like the movies – earth colours are best. You won’t be kicked off a vehicle if you’re wearing a fluoro top but it is better to wear colours that blend in with the vehicle. The animals see the vehicle as one entity and learn not to fear it. Anything that contrasts with that isn’t helpful and can scare them off. Earth colours are also the best at hiding the inevitable dust and dirt that is part of any game drive. In terms of fabrics don’t worry about mosquito repellant or anything like that. A nylon breathable fabric is ideal. Thick cotton can be too heavy. My personal safari favourite is the good old zip on zip off leg trousers. These were made for safari. You can have your legs covered first thing and last thing of the day and then turn them into shorts when warmer. On the top half, if you are prone to getting cold it might be a good idea to have a dry fit layer as your base. These can be especially good if long sleeved when it comes to heavy sun. Personally, I find these a bit restrictive but I would always prefer to be a bit cool rather than too hot so it is a personal choice. A looser fit dry fit t-shirt is my ideal base eg the type of t-shirt you would wear for running. Bodywarmer vests can then be a very handy next layer and multi-use. However, on their own, they won’t be sufficient on a cold morning. The other option is the safari shirt. These are button up shirts and are often made of breathable fabrics and/or have ventilation. One of the best things about a safari shirt is the number of pockets that it has – this can be very useful! I love a fleece and tend to always use one as my second layer. I think that is because they tend to be nice and soft and layer up well! In terms of a jacket, you can go with a thicker fleece jacket or a down jacket. Again this comes down to personal choice and time of year. Most upmarket safari lodges will have ponchos and blankets available for you on the vehicles. I use the down jacket I use for trekking/walking when on safari. A buffer for your neck can be a great use on safari. These can be cotton or fleece. They are lovely for keeping your neck warm and when you pull them up can keep the dust out of your mouth. The cotton ones are also great for keeping the sun off your neck. In terms of protecting your head, the drivers/trackers all tend to wear fleece beanies when it is cold and then move to caps when it warms up. I feel like they are an excellent reference point! I personally like a cap and the use the hood of my down jacket or the camp provided poncho. A wide-brimmed hat can also be a great option when it comes to the heat as it will cover both ears and neck. Think like a cricket hat if you are going on safari in the middle of summer. I always take a pair of cotton gloves for cold mornings. Big ski gloves are pretty much never necessary on safari. The ideal is lighter gloves so you can still use your camera while wearing them. Fingerless gloves can be ideal for this. Sunglasses are key – just your normal ones will be fine. I often take 2 pairs as I am prone to damaging sunglasses and you don’t want to be without! 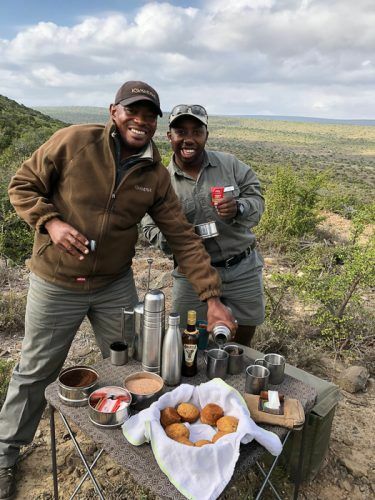 Very few safari vehicles have power – and if they do it is often needed for other important things like preparing your coffee. Most lodges will have power although there may be limitations on charging usage and charging may only be done in some central locations etc. As a result, power banks can be super useful on safari. I bring one out with me on game drives for my phone. If you are taking video and loads of shots your phone can run out of steam fast and trust me when I say there are few things more frustrating than having a great animal viewing experience and being unable to capture it. I love my Anker power banks. I use the stubby pencil sized one in my travel bag and then have the bigger one as a back up. I make charging my first priority at the end of each drive to give maximum time to camera batteries etc to recharge. More and more lodges are also now adding in charging through usbs which is super helpful and reduces the load. -eyedrops can be a nice treat – especially if you wear contacts. Eyes get dusty on safari. -I was told on my first safari not to wear perfume or strongly perfumed items as most animals have a much stronger sense of smell than us and may keep away as a result. 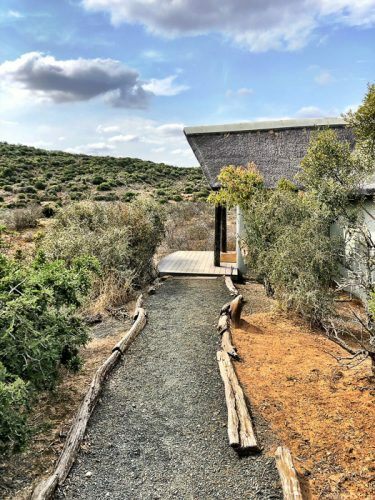 It is not really a big deal but better not to – and you want to appreciate the amazing smells of the bush – as do your fellow vehicle passengers. Although I did read somewhere that certain animals love Calvin Klein Obsession for Men so maybe if you have that make an exception! 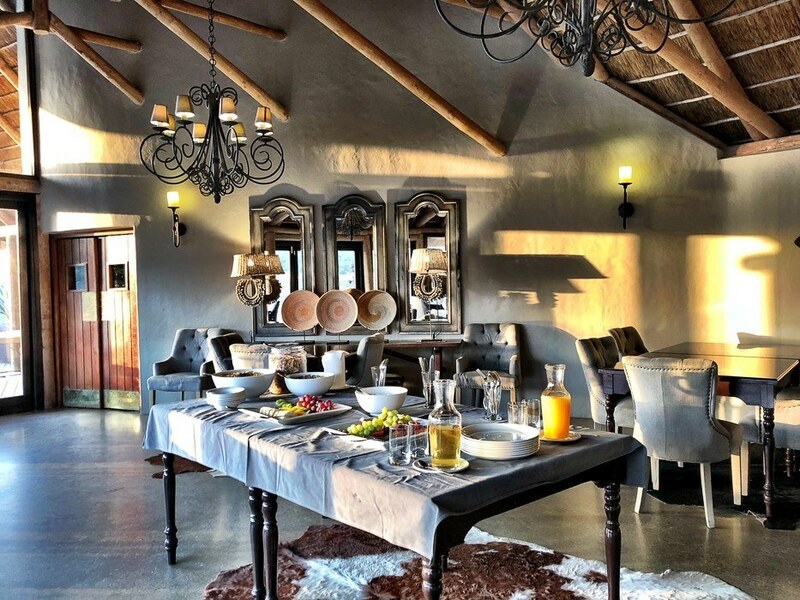 -Most upmarket safari lodges will have some type of store – particularly Kwandwe!!! – so you can buy some things if you have left anything at home. 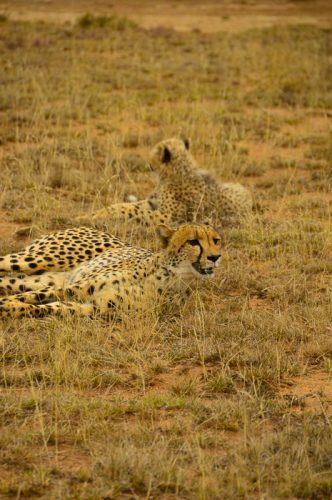 -one of the most fun things to do on safari – especially with kids – is to keep track of the animals that you have seen. The guides will usually have books so that you can find out more about the animals you have spotted but personally, I think one of the nicest souvenirs of a safari is an animal book where you can mark what you have seen. This is also a great thing to take on your next safari – and next – to remember your experiences. JP recommends Sasol as the best books for this type of purpose. They are sold at Kwandwe or you can buy them online. Looking for some other great animal experiences to have whilst in South Africa? Check out my post on Whale Watching Hermanus. 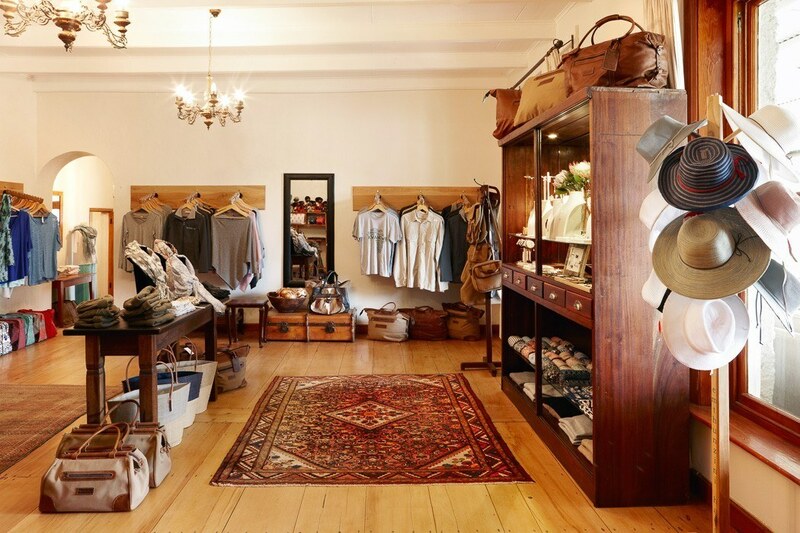 Kwandwe has just taken its fantastic gift shop online! Now you can pre-order all your safari items and have them waiting for you! This is also a great option for honeymooners. 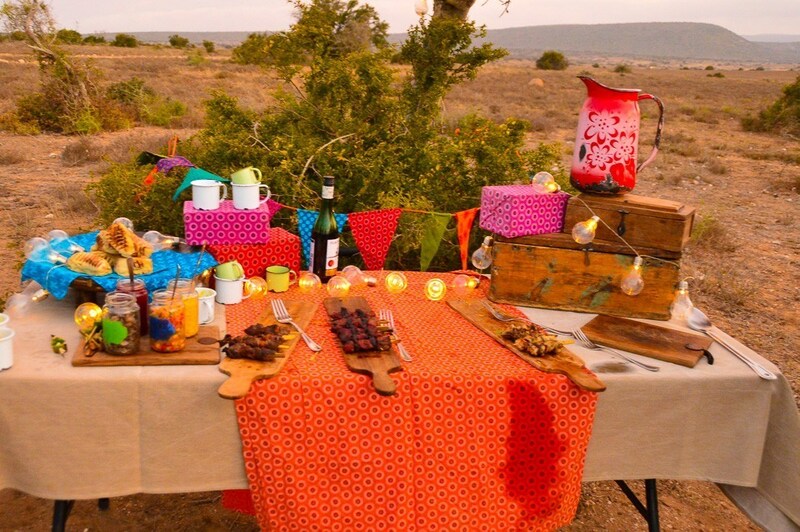 Why not set up a Kwandwe gift registry for your wedding guests and have them contribute to your experience? I often find once I have visited somewhere I wish I had of bought the hat/vest the guides wore etc as now I am home I really would have used it – but it is too late. 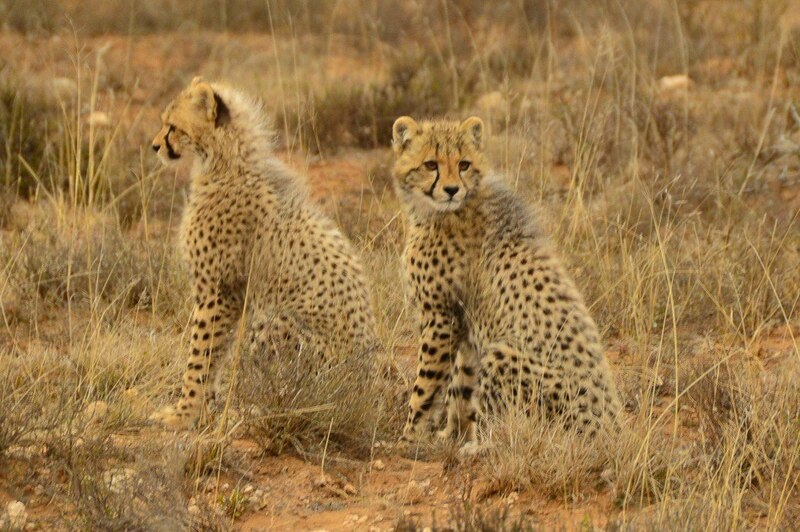 No more – you can visit the Kwandwe Registry before and after your visit! And the shop has some fantastic gift sets that are perfect for presents – for honeymooners, friends or yourself! Finally, the Registry has some lovely lovely gift items. You can’t beat their animal-themed onesies and I absolutely loved the painted ostrich eggs (although these ones you have to buy there due to customs restrictions with shipping ostrich eggs around the world). Anyway, there are loads of lovely unique and beautiful items on the registry that make for fantastic gifts whether you are going on safari or not. The nearest airport for Kwandwe is Port Elizabeth. Click here for cheap flights to Port Elizabeth. The drive to Kwandwe is about two hours. They can organize a transfer for you or you can grab a hire car although of course, it will just sit at the main reception at the lodge until you leave. Kwandwe is, without doubt, one of the best safari lodges I have visited. 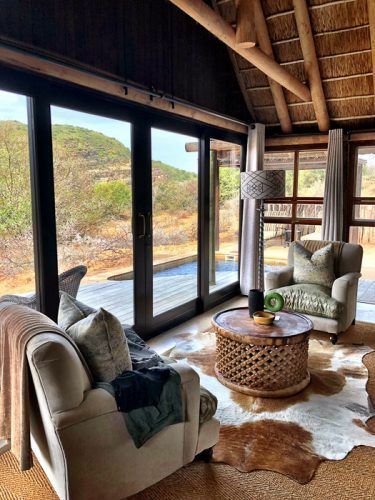 I warn you it will be hard to go back to other lodges after you visited – they have won the Best Safari in Africa 2018 award! Literally! And the Warthogs who were literally outside my room! 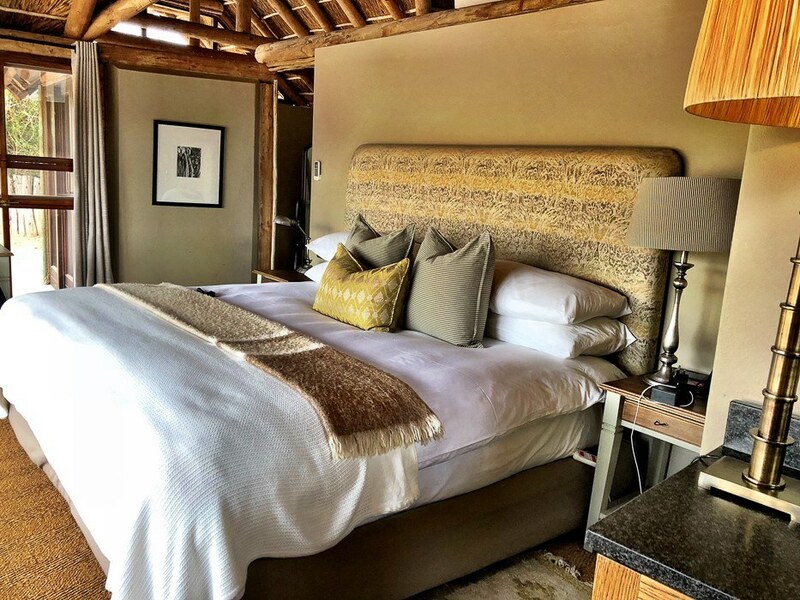 If you want an amazing safari experience – from the most wonderful personal service to the delicious food to great animal viewing to stunning accommodation – this is the place to go. 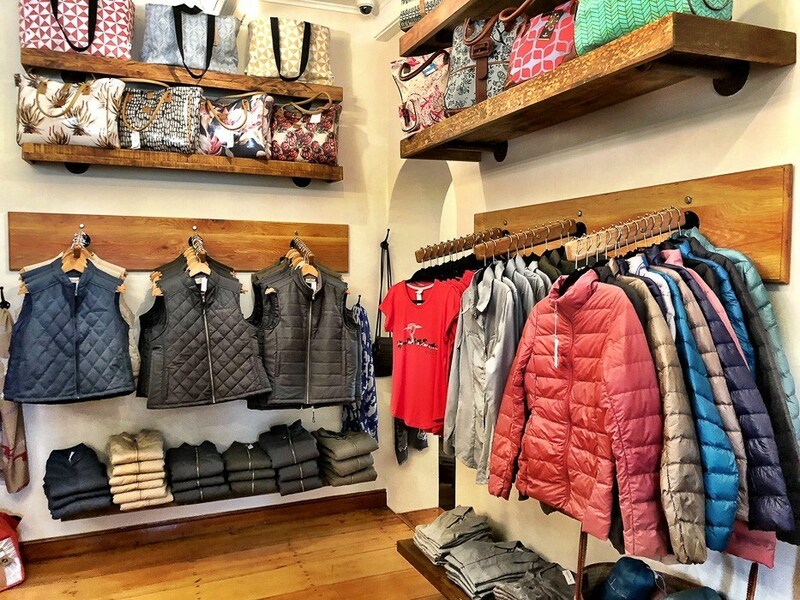 If you click through on the links in this article for safari clothing, flights, bags etc I will get a small commission on the sale. Just wanted to make sure you knew that. Thanks very much to Kwandwe for hosting my stay. Please note although they hosted my stay the opinions expressed above are my own.